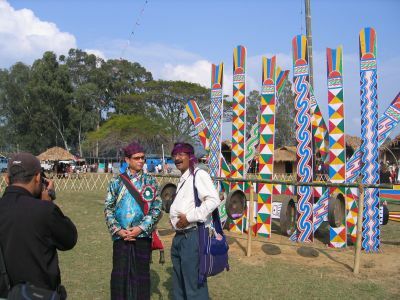 This small selection of images highlights the role of two Arunachal Pradesh government ministers at the recent Singpho Manau festival held in northeast India. The ministers flew in by helicopter and were driven to the festival (via the local circuit house) in a convoy of substantial four-wheel drives. – The ministers arrive on the morning of the first major day of the festival. – The ministers take their place in the middle of the stage. – Minister Chowna Mein, who was honoured as the “chief guest” of the festival, gives his speech. The Chief Minister of Arunachal Pradesh was invited but could not attend so Chowna Mein, a senior minister in his own right, stepped into his shoes. In his speech he ranged across topics from the patriotism of people in Arunachal Pradesh (“We Arunachalis are more patriotic than other Indians”) to the etymology of place names along the India-Burma border. The other minister, C.C. Singpho, is reading a copy of The Miao Times, the local newspaper. This informative paper is published in English and the Editor-in-Chief is a local Singpho intellectual. 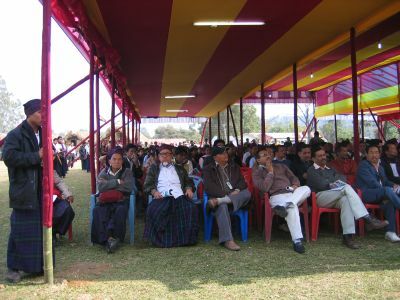 – The crowd listens intently. Singpho chiefs and some journalists (mostly from Assam) make up the front row. – The technical team keep the volume just right. 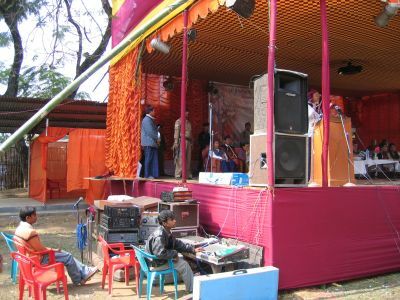 At the end of his speech Chowna Mein donated 100,000 rupees to the festival organisers. – After all of the speeches are finished, Chowna Mein prepares to cut the ribbon declaring the festival formally open. – Then the dancing begins. 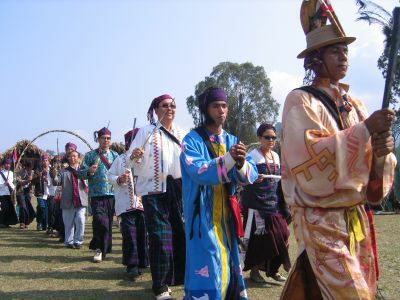 After a stint observing the dances from a viewing platform, Chowna Mein leads the dancing around the Manau poles. He is the state government minister responsible for the Rural Works Department and Rural Development (usually reduced to “RWD & RD” in local shorthand). Some readers may also be interested to know that he is Tai Khamti. – C.C. Singpho, who I understand is currently the most senior, elected Singpho leader in India, also takes part in the dance. He is the Arunachal Pradesh Government’s Minister for Civil Supplies and Consumer Affairs, Health and Family Welfare. 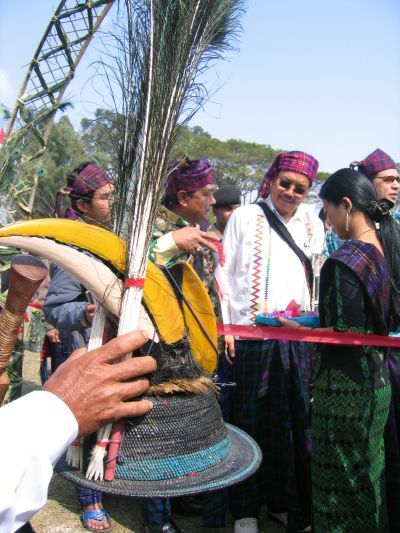 In material on this particular Manau festival he is often described as the “chief patron”. – The ministers leading the dance as it swerves back towards the Manau poles one last time. – After dancing, C.C. 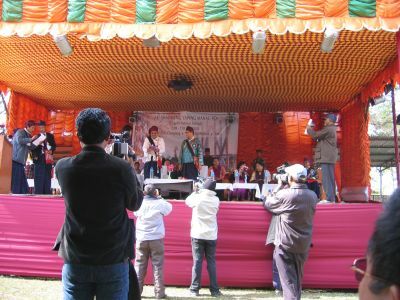 Singpho is interviewed at some considerable length by an Assamese journalist. – One of C.C. Singpho’s bodyguards stands at the ready. Everyone else has already gone for lunch! 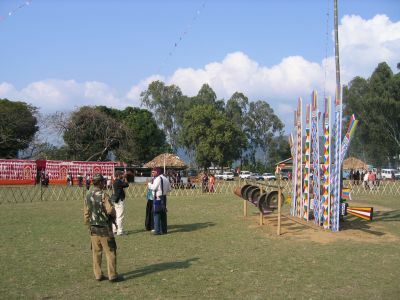 A short-time after this photo was taken the ministers departed the festival ground. The local heli-pad is not that far away. Great stuff. The Tai Khamti aspect is interesting. There are so many linkages that could have led to a quite different world than the one we live in. Maybe they will in the future. I agree – the relationship between Tai Khamti and Singpho (and not just in historical, religious, cultural or linguistic spheres) is a really interesting issue, and one I hope to learn more about. Sometimes one even sees mention of an “All Tai Khamti & Singpho Students’ Union”. 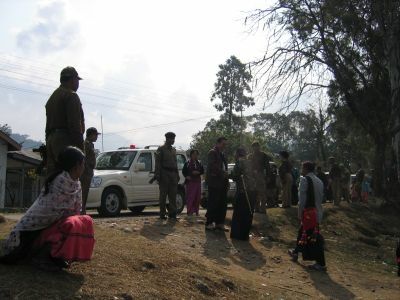 Like elsewhere in India’s northeast, student politics in Arunachal Pradesh is a serious business. This combined union (which seems to be just a sporadic fixture on the student political scene) is indicative of other shared links and interests. Some of those links appear to go right to the heart of the economy and deep into politics of all kinds. Chowna Mein seemed very at home among “our Singpho”. When it comes to relations between th Tai (Khamti and others) and the Singpho, there is much to chew on indeed. Does anyone know the first historical references to Singpho (or related ethnonym) and “Tai Hkamti” (which I’ve never been able to relate to Tai ethnonyms during the Ming dynasty) in the area that is now the Kachin state of Burma? I ask because things quiet down in Chinese and Burmese sources and you don’t get references to Mohnyin-Mogaung (Burmese) or Meng Yang (Chinese) after the end of the Ming dynasty in 1644. You may have already looked there, and it probably won’t have what you’re looking for, but Leach’s book “Political Systems of Highland Burma” does mention historical references for the Singhpo/Jinghpaw etc if I remember correctly. I seem to vaguely remember mass migrations into the “Kachin” states during the 19th century. Maybe that was in Leach’s book. I’ll check. And Mandy Sadan’s work. Thanks for the reference. I’ve met so many “Kachins” who refer to themselves by a more specific ethnonym and I know that Jingphaw and Kachin is one of the most linguistically diverse groups of the world. This archaeologist told me about it on the train back to Yangon from Pagan one time. I forgot his name. (His mother was Scottish and taught at Mandalay University?) Anyway there are probably just as good Chinese sources from the Qing dynasty that can be used to get a better picture of the changing ethno-political landscape of the Kachin states between 1644 and 1885 during the third Anglo-Burmese War when the “Kachins” are very visible in the accounts. Maybe Mandy Sadan has already looked at the Qing sources? Certainly there are many different ethnonyms in use among the various “Kachin”. All of the categories in contemporary use have now been influenced by the schemes of ethnic demarcation introduced in China (mostly after 1949), in India (since well before independence) and in Burma (in messy and sometimes inconsistent ways). Today, as you know, the official categorisation of the “Kachin” in Burma covers 6 major “sub-groups”, sometimes called “tribes”. These include the Rawang and Lisu. All of these categorisations seem to be open to continued contestation. For example, there are reportedly some Naga nationalists on the Indian side of the border who see all “Singpho” as a part of the “Naga” family. Is this going too far? The various uses of “Jinghpaw Wunpawng” (which has become an umbrella term within the Kachin state) is something that Mandy Sadan has written a great deal about. This is the term for the mass of different groups that has been widely used in the Kachin state (and I have even seen it used in areas of south-western China) in recent times. As for the longer-term evolution of the terminology, I’m not really sure. But these are all good questions. I have heard it claimed that the Singpho (under that name?) have been in northeast India since before the Ahom kings arrived. This takes it back a whole other step. Very keen to continue this conversation. Given that there are numerous Jinghpaw dialect, like Gauri for example, and that other Kachin tribes like the Maru, Lashi, Atsi, and Rawang have dialects (especially the Rawang, who I think have something like 75-100 dialects), there as both of you, Nicholas and Jon, note there’s a lot of ethnonyms out there. The Lisu also are interesting since not all of them consider themselves Kachin. However, I think the Kachins are in competition for linguistic diversity with the Chins and Nagas; they’ve all got plenty of diversity. While there was quite a bit of migration among the Kachins during the 19th and continuing through to the 20th century (if I’m not mistaken the Jinghpaw in the Kengtung area migrated in the 20th century), there were migrations before that date. There was an important migration of Jinghpaws from the Putao region to the Northern Shan States 7 generations ago, and assuming that the Jinghpaw “generation” is roughly equivalent to the biblical “generation” of about 40 years, that would place the migration around 280 years ago. It is interesting that it is claimed the Singpho were there before the Ahom, since I have heard Kachins say the Tai, and Khmer for that matter, proceeded them in some locations. Maybe the Flat Mountain was closer to NE India. As for the Naga claiming the Singpho in thIR family, that isn’t going too far compared to some of the claims I’ve heard. 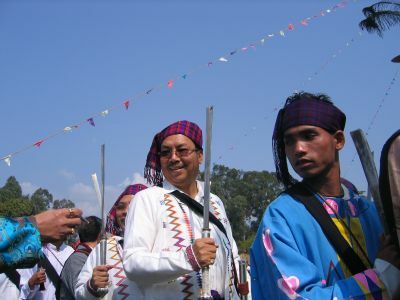 Several years ago, a Kachin and Wa told me a migration story that claims the Kachin, Wa, and Chin are brothers. Just last Fall, a Chin told me the identical story, without the Wa aspect. I’ve also heard, and read, of Kachin claims of kinship with the Gurhkas. While the Tai people aren’t exactly in the brotherhood, Shan from the Shan-majority areas of the Kachin State were in the KIA/KIO, as is noted in Bertil Lintner’s book “Land of Jade”. A few years ago I was out visiting some of my friends at one of the Yuchi aka Euchee ceremonial grounds. We got into a discussion about the fact that although the Yuchis are a distinct tribe, politically they are part of the Muscogee Creek Nation. The reason for this is that several centuries ago, the Yuchis joined the then Muscogee Confederacy. As one of the Yuchis noted, it wasn’t a confederacy of mutual interests, it was a confederacy of mutual enemies. Maybe the Nagas define “family” in a similar way. [Comment: I find this sort of issue fascinating because the ethnic diversity of Yunnan was incredible in the 13th century when the Mongols arrived on the scene as attested to in a paper by Christian Daniels (see below), even Mon-Khmer speaking groups. The arrival of the Mongols in the 13th century and then displacement by the Ming around 1383 marks the real beginning of written history for Yunnan as well in Burma and Tai states like Chiang Mai, after that the written record creates an almost obsessive focus on low land rice cultivating cultures (Burmese, Tai, Chinese). References to upland dwellers only seeming to occur when there was a “rebellion”. My name is Sondita Mein and i am related to Chowna Mein. I was surprised and delighted to discover that someone from ANU would have gone to my part of the world and taken these beautiful photographs! If you are doing some research on the Tai Khamti and the Singphos, i could get in touch with my people and we would love to help you in any way that we can :O) It has been a long standing dream of mine to eventually trace the paths taken by my ancestors and understand our migration patterns and hopefully trace our ancestral roots beyond Thailand. I am just a layman so i suppose i am not explaining myself very well in anthropological terms. 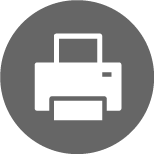 But if i can be of any help to you with your work, please let me know. Great to hear from you. I have your e-mail address and will be in touch. i would like to make you clear that we singpho are never a part of Naga group. its our universal belief that make them think so. Acc. to our belief we are son of our great great grandfather ie SHAPAWNG YOUNG and he has got five brother among them are britishers as the eldest then chinese,and the naga are the immediate elder brother of him. so i think this will be sufficient to refute the claims made by naga. It is good to read all stories of the Kachins. 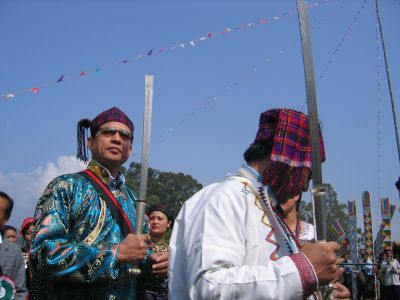 Many Singphos or Jinghpaws integrated into the mainstreams of the nearby ethnic groups, Assamese, Shans, etc. By celebrating the Manau festivals, those missing Jinghpaws are coaxed to joined their relatives and brothers. I think C.C Singpho is one the missing Jinghpaw. 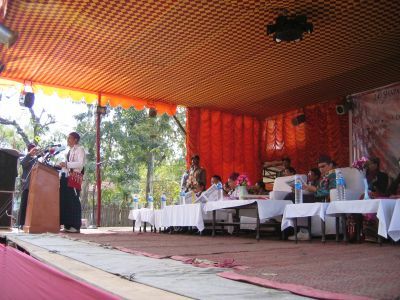 It is important to promote the Jinghpaw language in India and Myanmar as I have found the youths are very much adopting the languages of the majority in their regions. Jinghpaw videos, songs and journals from Jinghpaw Mungdaw of Myanmar should be made available to the Singphos in India and Jinghpaw in China. yeah its very critical to comment on the issue regarding the missing link of c.c. singpho even though he hails from my own village i.e GOJU I feel its inappropriate to comment over here as he very much senior to me. even though i knows about his roots. at the highest level for hardly 15000 population in india which makes him great not his roots GOT IT my friend. Mr. FIREFOX who ever you are…… u got all wrong with what you said besides without Mr. C.C Singpho the Singpho would not have come to existence among the other tribes in Arunachal P… they would have been know as one of the loser tribe addicted to opium and other sorts of drugs, am sure you know about it… so get that in your thick rotten skull of yours. He is not Shiyam, he was born in a village called Balipathar in Assam few of his sisters got married to Shiyam families and Tai Khamt family probably. You must have misunderstood him seeing his families consisting of different tribe. These Singphows were warriors who call themselves “Trung” which was a name of a river flowing in Burma. If you find so many errors in him then why wont you go and ask him yourself he wont bit you rather than posting negative comments with your fake “firefox” identity. As far as i know him he is a well-mannered gentleman and religious, he was always successful through out his currier. I have never seen any drawbacks till today in his currier.. Because of huge migration & bonding relation with different tribes many of the Jingphow/Singphows have lost their track to there identity. In fact in this generation young kids cant speak their own tribal language because they often spend their child hood in boarding English school for better education. Firefox may be you should get you dna done and hope you don’t turn out to be a cross breed. I don’t like to give any false comment like that of what’s called @Firfox . By any mean, whoever u r, u haven’t d right to say on this site ?